What is Z-Wave? How is it used? Z-Wave is a wireless communications protocol designed for Home Automation. A Z-Wave network starts with a central Z-Wave controller and is customized with devices selected by you. The technology uses local, low power RF frequencies to build an intelligent mesh network between devices. Your Z-Wave network is strengthened by expansion and will not interfere with on-site Wi-Fi networks. Z-Wave is considered an affordable Home Automation solution, as the devices do not require special wiring or complicated programming. An existing network can be expanded upon quickly and easily. Incorporating Z-Wave devices into your home security system allows you to control these devices remotely on demand, or create automated rules and triggers. What Devices can utilize Z-Wave? Many home electronics are available in Z-Wave enabled models, some of the most popular being light switches, thermostats, blinds, and locks. Avoid fumbling in the dark by programming lights to turn on when you disarm your security system. Save energy by setting your thermostat to cool when you leave home and secure your alarm system. Add smart locks that allow you to lock or unlock your door from anywhere in the world. There are accessory modules that allow for simple retrofits in virtually any device that uses electricity. Z-Wave provides exciting new possibilities for homeowners looking for an entry-level, or a whole Z-Wave home solution. 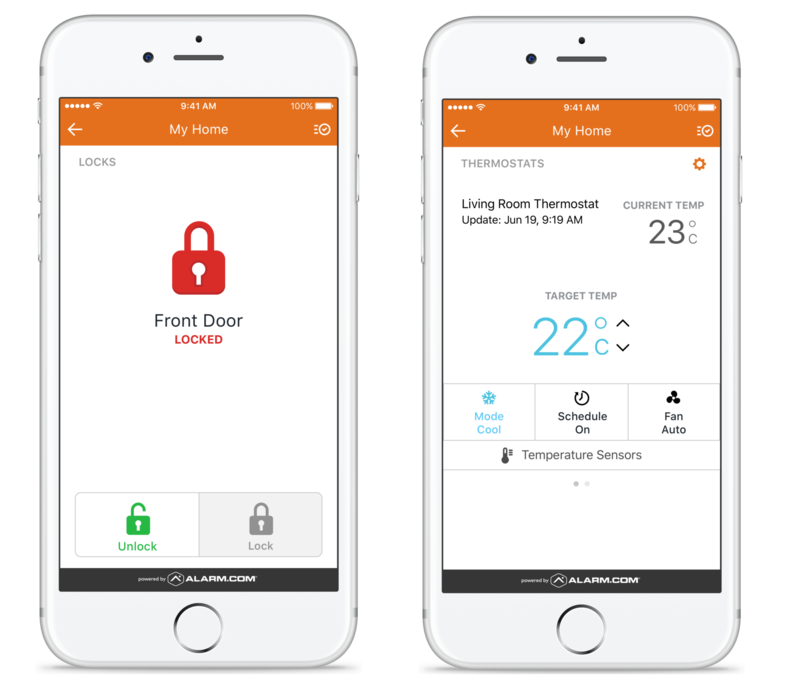 Contact a TELSCO Security Consultant, right here in Edmonton, to find out more about integrating Z-Wave into your home.